Samsung’s latest Galaxy S8 smartphone includes an iris scanner for users to lock and access their devices. But as previously demonstrated with fingerprints, biometric security measures can also be hacked. Researchers from the Chaos Computer Club were able to do just that. 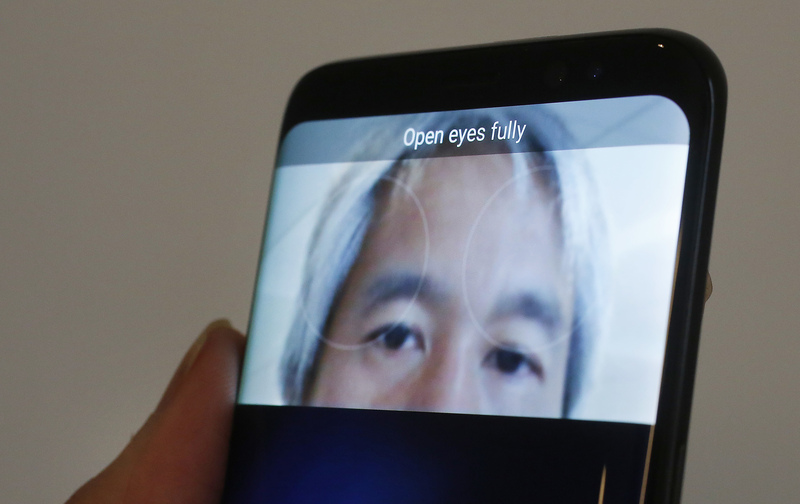 They took a night-mode picture of the target, manipulated it for depth, and then put a contact lens of top of it, thereby fooling the iris scanner and unlocking the smartphone. Facebook’s head of global policy management, Monika Bickert, has responded to Monday’s report by The Guardian that published leaked documents about what content should or should not appear on the social network’s website. In her response, Brickert said Facebook sometimes gets things wrong, but it is “constantly working to make sure that happens less often” and finding the right answers to address issues relating to graphic content or other objectionable material making it to the site. Cybersecurity firms Symantec and FireEye say new evidence links North Korea to the massive ransomware attack known as WannaCry or WannaCrypt that wreaked havoc around the world. Symantec and FireEye researchers say the software code used in the attack is identical to earlier versions used by hacking group Lazarus, which is linked to the North Korean government. But Symantec also says the WannaCry attack is more typical of a cybercrime and does not bear “the hallmarks of a nation-state campaign.” North Korea has denied the allegation.